A relief carving. It is at Great Barr School. The school is in Birmingham, England. 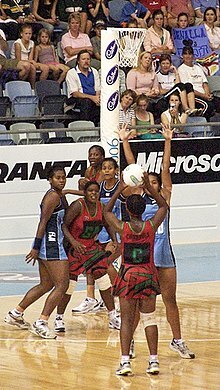 It shows girls playing netball. no girl is allowed to shoot from outside the semi circle or pass over a third. This page was last changed on 22 April 2018, at 11:41.